Let me start by saying that I am enjoying this ice cream. 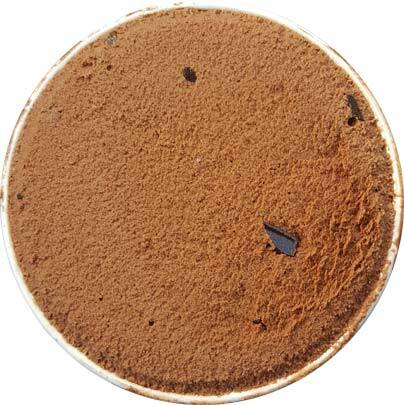 It's a rich chocolate base with plenty of fudge "flakes". 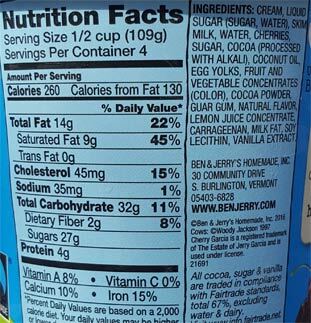 As you probably know, B&J's "chunks" are quite large (unless comparing them to graeters), so their smaller flakes are still bigger than many competing company chunks. This is a good place to start and kind of amusing when you realize that despite the tastiness, Ben & Jerry's doesn't offer up a straight chocolate chocolate chip flavor. It's a tough life trying to be the cool kid! Lots of chips and lots of cherries. Anyway, so how is this flavor flip overall? Well, I wish it was more flipped... or would it be less flipped? Why is there no cherry juice in the chocolate base? In theory, the large cherry chunks should spread a bit of flavor into the base, but I think the cherry vibe should have been way stronger. Maybe there was trouble making it stand out, or maybe it didn't test well, but I can't help but think that this is a missed opportunity. 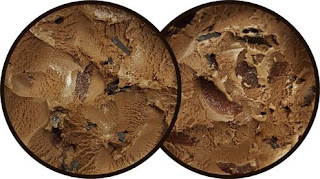 This is still a good ice cream, I had to stop myself from downing half a pint, but it could have been a unique ice cream. There is a growing market for these ultra premium pints with their crazy flavor profiles and B&J's could have tapped in to that better here. Again, not bad, plenty enjoyable, just not a wow. 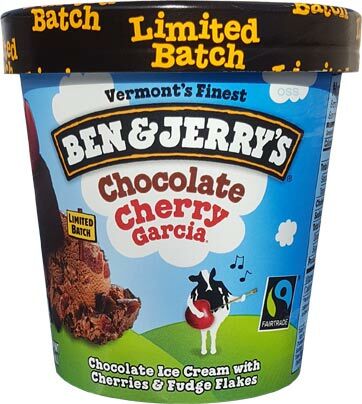 On Second Scoop: Ok, I was talking with Sean on instagram and we were talking about the cherry factor because he had tried this straight from a scoop shop. If I go slow rather than inhaling my serving, I did notice that the underlying cherry vibe is subtle but noticeable in every bite. The thing is, I feel like you are getting more of the cherry's bite that is adding to the complexity of the overall flavor as opposed to just an added cherry sweetness. It's like it's trying to enhance a dark chocolate vibe. Personal preference will always come in to play, but I just don't see this one clicking in the way that the name implies. 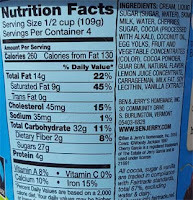 Oh, one other thing, is Ben & Jerry's slowly amping up the gum factor in their ice cream like so many other mainstream brands? History note: I put this tidbit in my news section but not on the review. This flavor used to exist as a froyo sometime in the late 90s. Their chocolate base is so mediocre the description actually grossed me out. Where did you find this? I haven't seen that flavor anywhere yet. A few months ago, I thought it was lower quality than in the past and was wondering if they had changed formula and made it cheaper but over the past few weeks, it has tasted great. 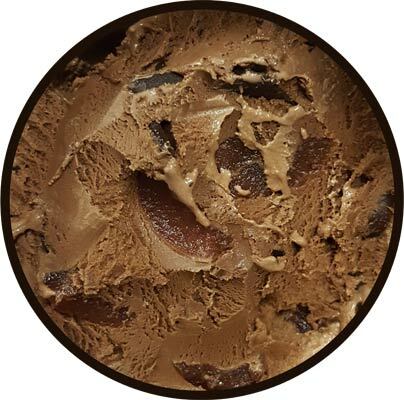 The cookie dough seems less tasty but the chunky monkey has been extra creamy and I find the chocolate base in the fudge brownie and NY super fudge chunk taste terrific. I always let it sit for about 15 minutes lost-freezer. I just found this pint at my ShopRite and had it last night. I enjoyed it a lot more being a chocolate base than a vanilla. The cherries were not icy at all, which I now realize is a problem in other ice creams. Reminds me of the Chocolate Cherry Cordial Edys used to make when I was a kid.